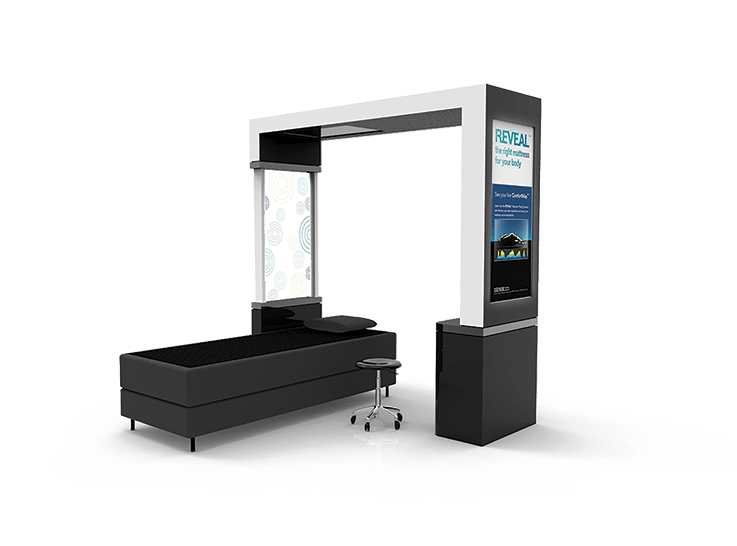 REVEAL Kiosks help salespeople show each customer their own unique pressure image and what that means as far as mattress choice. No more guessing and no more looking for the cheapest solution. Our Kiosks help customers make the right decision faster. 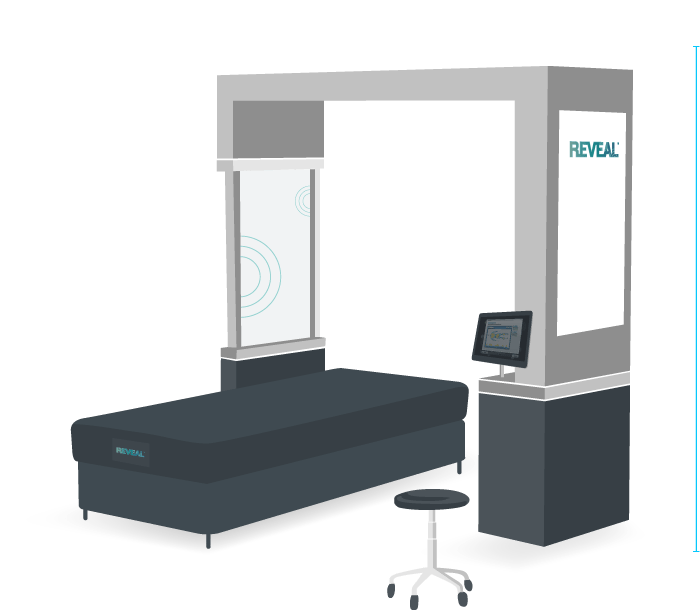 The REVEAL mattress recommendation system allows you to educate customers using a dynamic, high-resolution image of their body pressure measured on a mattress. 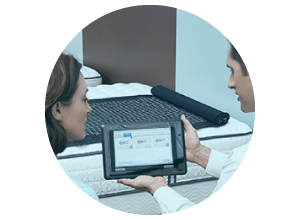 The customer’s pressure image lets you identify the correct group of mattresses designed specifically for their body type. 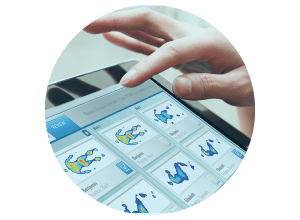 Once you have a customer’s pressure map, which is available on a computer screen or hand-held tablet, you can review with the customer and provide a personalized recommendation. These recommendations are aligned specifically to the customer’s body type and dramatically improves trust with the customer since they aren’t brand specific. 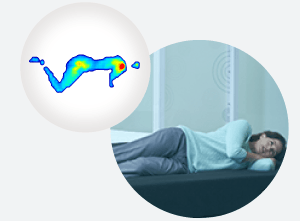 The REVEAL software solution now supports pressure image mapping for adjustable base demonstration and pillow selection providing a complete sleep recommendation system. Adding an adjustable base and the right pillow creates a complete sleep solution. Both can be mapped and shown to customers using the REVEAL software. Upselling has never been easier. 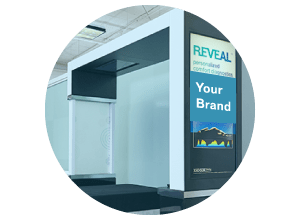 The REVEAL system is custom branded to look and feel like it belongs in your retail outlet and is part of your unique brand and identity. Custom branding the screens helps to emphasize who the retailer was that provided a better purchasing experience than the competitor. 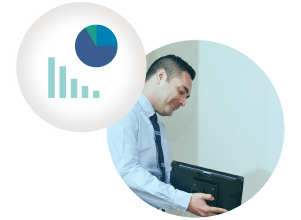 The complete reporting system allows you to observe store performance through REVEAL usage, both by store and by sales person. You can track conversions correlated to the use of the system helping you to track by sales associate and by store. Choose the in-store display that fits your store and budget or design a unique experience with the help of our support team. With multiple display options to choose from as well as brand customization, you’ll create an unique experience that your competitors don’t have and your customers won’t forget. The portable sensor mat creates a unique in-store experience. It facilitates consultative selling and the closing process with a customer. For sales associates that have already helped to educate the customer, REVEAL Compare will help the customer make the best choice after the short list has been created. Your salespeople are good and know how to sell mattresses but sometimes can’t help a customer make the final decision. 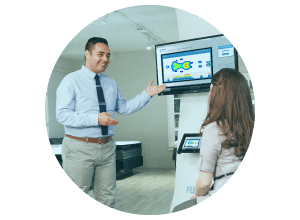 Using pressure imaging technology that moves between mattress options, creates a much better in-store experience which differentiates you from the competition. Gel mattress, foam mattress, coil spring? REVEAL Compare allows you to reinforce the right mattress choice. Good – better – best! 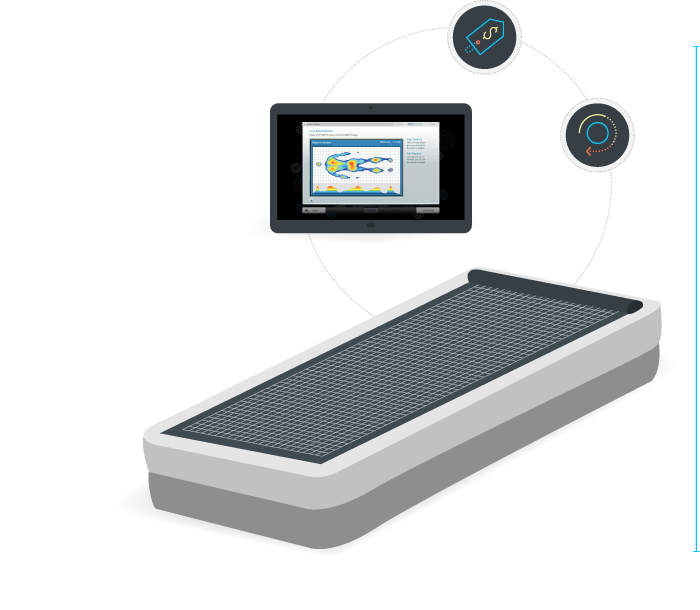 Multiple pressure maps are created for a customer by moving the portable sensor mat from mattress to mattress. Comparing each pressure map helps the customer make the final decision, dramatically improving close rates. Customers don’t always know what to spend on a mattress or what choice to make when more sophisticated mattress choices are involved. REVEAL Compare creates proof points about which mattress will work best for your customer, ultimately taking away the fear of investing in the wrong mattress. Even if you don’t have a return policy or money-back guarantee, the hidden cost of a dissatisfied customer impacts long term sales. 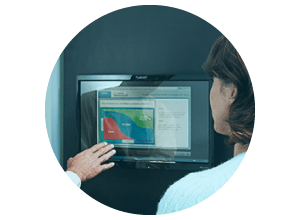 The REVEAL Compare solution ensures the right decision is made the first time, reducing returns and producing more long-term satisfied customers. What is the goal for your business? Consumers have too many choices today when buying a mattress. When the REVEAL system is part of the in-store experience, it augments the sales conversation, providing a point of differentiation for the retailer and narrowing down the number of choices for the customer. Salespeople have told us that consumers leave with the right purchase because of the REVEAL system. A $500 mattress purchase becomes a $1500 purchase when they see their pressure points and understand why a high-end mattress is a better choice. In a world of fierce competition, both in-store and online, the REVEAL system gives you an advantage. People trust technology and the right technology used during the sales process can be the difference between a 30% increase in operating income or going out of business. Every person is unique and so is their sleep behavior. Consumers want to be confident that they are buying the right mattress. REVEAL helps you create a higher level of customization for each customer resulting in accurate personal recommendations. See how REVEAL technology can increase your bottom line.